The Council for British Archaeology (CBA) is pleased to announce that applications have opened for twelve Community Archaeology Training Placements with a number of organisations across England, Scotland and Wales. 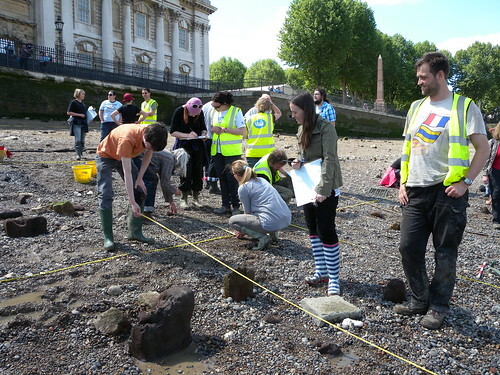 These include a placement with the Thames Discovery Programme at Museum of London Archaeology. The Community Archaeology Bursaries Project is funded by the Heritage Lottery Fund through the Skills for the Future programme with additional support from English Heritage, Cadw and Historic Scotland. It is enabling CBA to offer year-long workplace bursaries over a three-year period, designed to equip would-be community archaeologists with the skills, experience and confidence to work with voluntary groups and communities. The latest round of placements will commence in October 2012 with a ‘youth-focus’. For further details please visit the CBA jobs page where Applicant Packs, together with full job descriptions for each individual placement can be downloaded. The closing date for all applications is Sunday 19th August 2012 and interviews will be held from 29th August 2012.